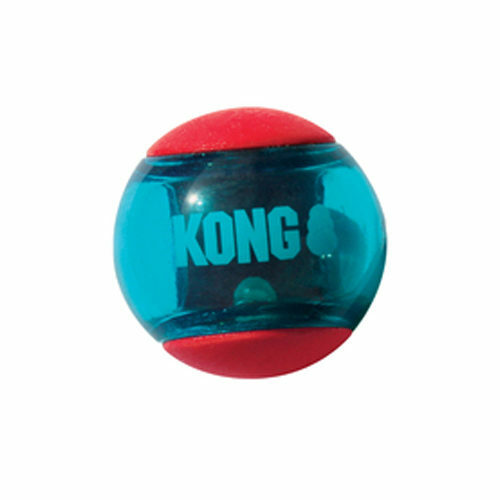 The KONG Squeezz Action Red is a special bouncy ball for dogs. Are you sick of using regular tennis balls? Then the Kong Squeezz Action Red is a suitable replacement toy. This bouncy ball contains a squeaker for extra entertainment. The KONG Squeezz Action Red is a suitable alternative for regular tennis balls. Thanks to the smooth material, the ball is easy to clean. This makes the toy suitable for indoor and outdoor use. The bouncy ball has a squeaker on the inside. The KONG Squeezz Action Red is available in three sizes: small, medium and large. Have you used KONG Squeezz Action Red before? Let us know what you think about this product.